Saturday, The Boys Varsity team recaptured the championship in the Shakamak Invitational. The Vikings placed 1st in the 10 team format. and Damon Kesler repeated as the individual Champion. Joining Damon were:Bryce Staeler-9th, Levi Saude. 16th, Joey Brown 21st, Kamron Doan 27th, Chase Stevens 33rd, and Griffin Akers 39th. 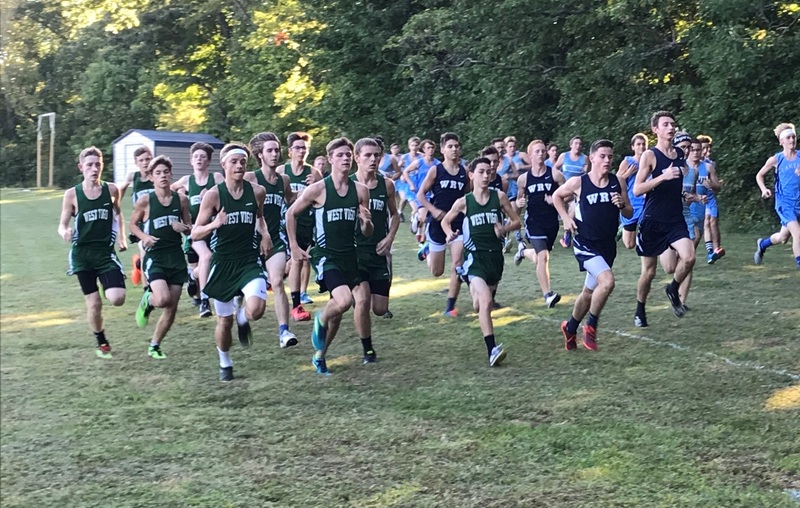 In the JV race Aiden Mundy placed 3rd, Trae Scott 8th, Patrick Stewart 14th and Nick Savant.21st Almost all ran personal bests on the season The Vikings next run at HOME tues aginst S. Vermillion and Riverton Parke. SENIOR NIGHT! !